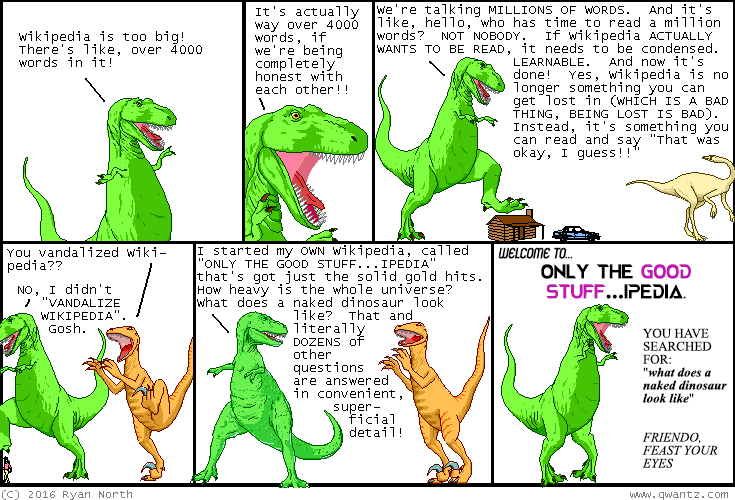 Dinosaur Comics - November 2nd, 2016 - awesome fun times! –And make it really catchy, okay? Also: I'm in Leeds! Are you coming to the Thought Bubble convention happening THIS WEEKEND and also RIGHT NOW?? I sure hope so because it's gonna be GREAT.